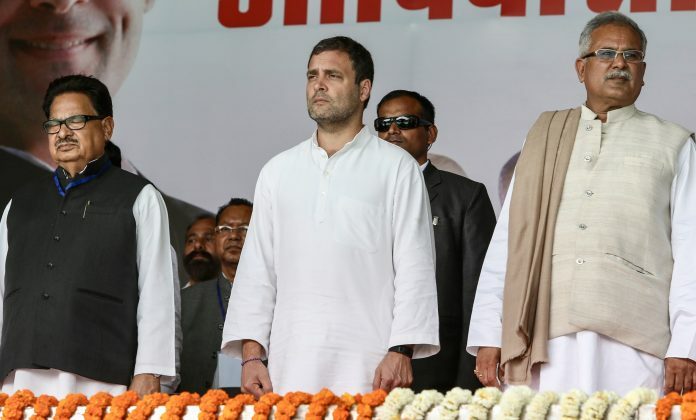 Congress president Rahul Gandhi said Wednesday that Prime Minister Narendra Modi has relegated the PMO to a “Publicity Minister’s Office” by indulging in “mediocrity” in a highly sophisticated country. Gandhi, who arrived here on Tuesday evening from Arunachal Pradesh, was interacting with the students of Manipur State Film Development Society in the state capital. “The Prime Minister’s Office is now Publicity Minister’s Office,” Gandhi told the students. He said the Congress doesn’t believe in “cultural imperialism” and it is of the view that one part of the country should not rule other parts as each state has its own voice which should be respected. However, this was not the case with the Narendra Modi-led government at the Centre.”Every part of the country should be allowed to express itself. The BJP-RSS combination wants to impose one idea and crush other ideas. Their heavy-handedness is seen whenever there are protests,” he said. On the Northeast, Gandhi said tackling job crisis and increasing connectivity in the region is is his party’s priority. “In our view, the region is a potential manufacturing hub. In the agri sector, food and vegetables are being wasted here due to shortage of storage space. Food processing industries can be set up in Manipur,” he said.